Beat This Caption Contest 186 – Caption Contest Funny Clever Witty Enter Today! 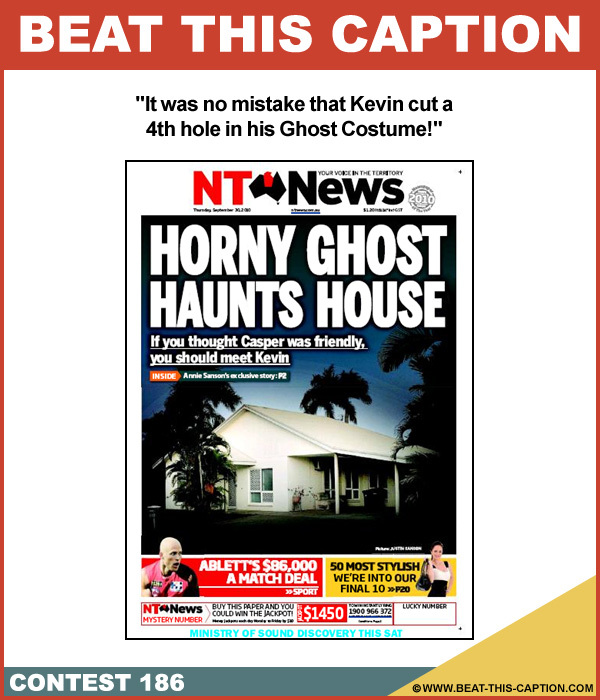 It was no mistake that Kevin cut a 4th hole in his Ghost Costume! February 23rd – March 1st 2014.